I am a healthy active 36 year old male that has never injured myself ever, so this is my first. I injured myself on Dec 15, 2008 while playing volleyball. A 200 pound guy landed on the back of my leg after I landed from spiking the ball and down I went. After the injury, I went to a doctor who told me that I had a torn calf muscle. I went along with that because the guy landed on my calf muscle and that was where the majority of the pain was located originally. I went back to the doctor a couple of times because I was getting better but it kept hurting. He told me that these things take about a year to heal. Finally in April, I was not getting any better. I still limped and now the pain was pretty much all at the back of my ankle. I found a different doctor and saw him. Right away he said that my achilles tendon was also ruptured, so he sent me to get an MRI. The MRI showed that it was not a complete rupture, the front part was still together but the back part that was torn had deteriorated leaving dead tissue, which would make surgery difficult. He told me that his partner was working with a non surgical method called PRP (Plasma Rich Platelets) that would be a great alternative for my situation, since mine was not fully ruptured the platelets would adhere to the good part and regenerate new cells filling in the torn part. PRP is taking my blood and getting the platelets out of it and injecting it into the tendon to jump start the tendon into healing itself. It is Monday May 18th and I had the procedure done three days ago. The procedure itself did not hurt. The only thing that hurt was when they injected the lidocaine to numb the area. I am now in the boot and am using crutches for the next three weeks. I then will go back and at one month will have an additional injection depending on how things are healing. My ankle is sore but I was told that it will be sore for around a week after the injection which I want. Soreness means that the injection is causing the healing of the tendon. I tried reading information about the procedure before I had it done but there is not alot out there since using it on achilles tendons is fairly new. I figured I would give it a shot since surgery was not going to be easy based on my injury, so I figured at worst I would just be delaying surgery a month or so if this does not work and at best I will be better without having surgery. Biologically speaking this procedure makes since, so I am hoping that science doesn’t fail me and I am on my way to recovery and back to my active life. It is rather difficult to coach little league baseball on crutches but I did it the day after the procedure. oh man! I just ruptured mine this past sunday may 17,09 jogging with my son. I went to the doc. today they want me in surgery tomorrow. I’m skeptical. I’m lucky to find this site. Hopefully I’ll find someone in the d.c. area soon! thank you and good luck to you. Anyone hear anything else about PRP? I’m going to ask my Dr. about it and report back. I am currently at eight weeks after the injection and so far so good. The doctor said that he can not tell the difference between my injured one and my good one. I just started today with two shoes full time. I go for two more weeks with level slow walking and light stretching excercises and then I will more intense physical therapy to strengthen everything. If I walk a lot it is still sore and since my calf muscle was also injured during my injury it is has not been built back up and is also extremely weak, so I limp a lttle unless I walk very slow. The injection was a little painful and it was quite sore for about the first five weeks while it was healing but nothing compared to surgery. I did have a second post titled PRP injection is working at 6 weeks if you haven’t read it. A couple of things. Joe, if your tendon is ruptured, you need surgery not PRP. PRP is for overuse injuries or small tears. A rupture is a complete break in the tendon (ie your calf is no longer attached to your heel in any way) and this necessitates surgery. I hope you didn’t hold off on it to check out PRP. Using PRP on a ruptured tendon would kinda be like breaking a rubber band and without moving the ends back together, putting glue in between the ends (visualize the ends about a half inch apart). Sure, it could work out but the rubber band probably wouldnt be very functional anymore. Although you need surgery for the ruptured tendon, PRP could help with your post-op recovery. PRP is completely different from stem cells. Embryonic stem cells are the pluripotent in the process known as differentiation by which the stem cell is capable of maturing into any cell type found in the body. So if a pluripotent stem cell is placed in culture with cardiac muscle, the stem cell will differentiate into cardiac muscle. At least in theory. The current difficulty is getting the principle to transfer to in vivo studies. So they can’t quite use it in humans yet. PRP on the other hand utilizes the healing properties of platelets, the cells responsible for clotting the blood and helping heal a cut for example. Platelets secrete several growth factors which speed the body’s recovery time. The growth factors trigger a chemical cascade within the body which instigates the healing process. If you have an injury, the platelets are already there but in a smaller concentration than in the injection. By coupling the concentrated plasma from the injection with what your body has already produced, there is a dramatically increased stimulus for the body’s recovery mechanisms and thus recovery time is reduced. Hockeyman is misinformed. PRP use is not limited to overuse injuries and small tears, although those are situations where PRP may be used often and work well as our knowledge of this promising new technique grows. PRP is also being injected during surgical Achilles repairs, as well as part of nonsurgical Achilles treatment. There are examples of both in this blog community. I agree with Doug53. There are people that don’t have surgery and only wear casts and allow it to heal on its own. The PRP injection is just expediting the natural healing process. My tendon was not completely torn but was only hanging on by a thread and was ready to completely tear apart at any minute. I had the PRP injection done into the part that was still holding together eight weeks ago. My doctor told me that my situation with an almost complete tear and the torn ends being frayed like they were was actually a worse situation than a clean tear because there wasn’t enough healthy tissue to surgically reattach. For my situation the injection sounded like a better fix and easier recovery than surgery. At eight weeks, I am currently walking in two shoes with just a little limp. Every day that I walk everything feels stronger and I walk a little better. The doctor wanted me to walk on flat surfaces for two weeks after I was out of the boot to start to strengthen it before I started physical therapy. I will be starting physical therapy next week to start strengthening things even more, especially my calf muscle which is extremely weak. Since I have been walking for a week and half with no boot I can tell that my calf muscle has already gotten a lot stronger and bigger. How I walk and feel now compared to before I had the PRP injection is amazing. It is much stronger and it no longer hurts to walk. Like I had said before when I went back to the doctor at six weeks he could not tell any difference in my injured one compared to my good one. Everyone has their own opinions and surgery is a tangible fix where as the PRP injection is not as concrete of a fix. All I know is for now it appears to be working really well for my situation and I have responded to the therapy how my doctor had anticipated. I was the first patient that my doctor performed this procedure on, so I was his test case although other doctors have been using this for a while. I have been going to the same doctor for almost 6 years now due to injures to my left knee from repo work in the Washington DC area. My doctor wanted me to get this injection today, but with the type of work I do the recovery time is just not in the cards right now. I have done a lot of research on this, and any arthritis patients should look into this. You stated that the recovery has not been hard, can you tell me what the worst part of this injection is? Any additional information on PRP would be great. Well Hello everyone, I just stumbled across this thread after searching for (post prp injection). I just had my right elbow prp injection yesterday for my tendonitis (Thursday 8/13/2009) @ the Cleveland Clinic Sports center, so I was in really good hands. I’m a 37 year old man in very good physical condition, very active in the gym. My problem has been ongoing for about 2 years. So 3 cortisone shots later I was thinking next step (surgery). Then my doc mentions how a lot of pro sports players that they take care of i.e. : Cleveland browns, Indians and Cavs are having this procedure done with a great success ratio. So I did what most of you have done (research on the procedure) prior to having it done. I did not look for any post injection information I guess because I was more concerned with the initial procedure. So I will share my experience with you here. I watched the whole procedure. They drew the blood 30cc’s took it to the spinner to separate then prepared the injection. I had 2.5cc of good stuff prp doc said that was low. Anyway, they shot me with lidocaine and then the prp. And OMG did it hurt! He told me that this shot would be worse than the injection of cortisone which was almost no pain at all so I was not excepting it to be very bad, however I had no idea it was going right in the tendon itself. When he would push on the syringe to inject that’s when I was about to pass out lol. He did this about 4 times and was done. Now me being the man that I am tried to play it off but I’m telling you guys right now IT HURT LIKE HELL. My arm is very sore today and I cannot take ibuprofen because we want it to inflame (growth factor). I will check back in here in a few weeks or sooner to let you know how my recovery is coming and if this is going to help me or not. Maybe I will be able to get my coffee cup to my face again soon. I will be having PRP for plantar fasciitis and achilles tendonsis in a few weeks and will write back with results. I am a 36 year old female distance runner, I run multiple marathons annually sometimes very close together. I also have patellar tendonitis and also work for orthopedic surgeons. I would NOT reccomend this procedure for this issue, I wear a brace when I run and also calf sleeves help and or course rest/ice. I’m not sure about the others who have had the PRP injection but from an insurance stand point it is a non-covered service and your DR. might have you sign a waiver stating this, therefore making you responsible for the entire procedure. Hope this helps. I had the PRP done to my right elbow 8 weeks ago. I am a tennis pro, so sitting for 8 weeks is not good. I have 30% better rotation and it is definately healing. I will not be able to play competetively for another 2-3 weeks.I have felt a definate fix to the tear. I know the procedure has worked as I am stronger and feel that within the 2 weeks I will be back to 80%. I am scheduled to have this done in 2 weeks on my lower back. Has anyone had it done on their lower back? I’d love any feedback if you have. i had the injection in my left elbow earlier today. the pain of the injection was truly excruciating. it took me two hours, and an injection of propofal, to simply sit up in the doctor’s office from the shock. i was unable to drive home or move even a finger. i was seeing stars–nearly blacked out and got sick. the doctor said that different people react differently–but my reaction is not all that unusual. i was NO WAY warned of this level of pain. i would never let a loved one do this without anesthesia of some sort. it’s now 10 hours later and i’m in bed on full pain meds. i can’t lift my arm or make a fist — i can wiggle my fingers though. i hope this works for me—the injection was the worst pain i’ve ever experienced. I will agree that it was very painful. It wasn’t bad enough for me to use pain medication but I did keep it on ice. I have had it done twice now to help heal my torn achilles tendon. The first time I was on crutches for three weeks after the injection and in a boot for eight weeks. The injection made a significant improvement in the tendon but it wasn’t completely healed, so the doctor did a second one at 14 weeks after the first. After the second one I was on crutches for a week, which it was so sore the first couple of days I couldn’t have walked on it if I would have wanted to. That was four weeks ago and the tendon seems to be much stronger. I walk most of the day with barely a limp until later in the day when it gets a little sore although a big part of my problem is still an extremely weak calf muscle, which I believe causes the limping. I am not suppose to push strengthening the calf muscle for another two weeks as the injection is most effective for the first six weeks. Considering I could barely walk before I had the first injection and now I can walk all day with very little soreness and hardly a limp, I would say that is has been successful so far. Hopefully over the next couple of weeks I will be even better. I was misdiagnosed for the first couple of months when I was first injured, so surgery was not the best option for me since the injury was a couple months old before my new doctor correctly diagnosed it. It has probably taken longer to heal than surgery but I have not had any of the complications or pain that goes along with surgery, which I guess is one benefit of a conservative approach. Anybody tried it for plantar fasciaitis/heel spurs? I’ve been having problems for ~ 2 years-had PT (I am a PT so it’s tough to submit) for Iontophorisis, ex and night splinting, 3 Cortisone injections with 1-2 month improvments and the 3rd shots are now wearing off. My Ortho has wanted me to try this for about 9 months but I wanted to try “just one more Cortisone”. The Cortione injection directly into the heel was really painful last time so I’m getting nervous about this, but almost ready to give it a try. I am having the PRP procedure this Friday. I have been deal with chronic tendinitis for 2 years. I have been a Manicurist for 30years and my left arm is tired. I am concerned about the time off work since the injury is due to my over use of the arm. Doc said 1 week and I will be back to work….Can anyone give me some input?? Also, I am nervous about the pain that some of you have discribed….Is it really that painful…be honest. Laura, I’ve had both my SI joints in my lower back done. I’d say its 80% better. Unlike other areas, the lower back injections barely hurt during or after the injections. It will take about 3-4 weeks till you notice a difference. Follow the Drs instructions too for max benefits. I am considering having a PRP injection for patellar (knee) tendonitis. I had my shoulder surgically repaired (labrum tear) 6 weeks ago and requested that the surgeon use a PRP injection on the surgery site during the procedure. This was a highly experimental procedure with only one research project that shows significant improvement with this kind of repair. Hard to say how much the PRP shot did but I can say that my recovery has been extremely fast and pain free compared to a typical recovery. This has given me faith in these injections and I am willing to give it a try on my knee tendonitis. Anyone have any success with knee tendonitis?? I know it isnt covered by insurance so money isnt my concern at this pont, results are. I had a prp injection into my rectus abdominus tendon 7 days ago for tendonosis. I am still aching and I agree that the injection process was horribly painful. If I have to have another injection I am going to ask to be numbed up. I ended up hurting my back as I tensed so hard during the injections (I think I got about 20 needle sticks). I’m a college basketball players and had PRP done on both of my achilles tendons for mild tendonosis(by the guy who created PRP) and after 6 weeks(followed rehab to the T) they feel as bad as they did before. Wish I just would have had surgery. Was of 1100 dollars and more importantly 6 weeks. What I meant to say was “waste of”…. and oh, yeah, they’re really not that painful. I mean it doesn’t feel good but they don’t hurt that bad at all. Mind over matter, people. Am going in for PRP today for a torn rotator cuff in left shoulder with calcification & bursitis. Have had numerous cortisone injections into the site with success but it only lasts 3 months at best. I am not a good candidate for surgery b/c I’ve had serious staph infections from lumbar fusions and other minor surgeries and procedures. I wouldn’t want to go through the staph recovery process again and no one in their right mind would want to open me up. I have done a lot of research on the PRP procedure and found that it holds a lot of hope for many injuries, especially with partial tears and recurring pain. I will post again after the procedure. In all honesty I would avoid any surgery at all cost due to the possibility of infections. I contacted my insurance company today, and PRP injections are being covered. All those that are not sure should check with their insurance company, there has been alot of press about the injections maybe the insurance companies are taking notice. i am a 49 yr old runner with persistent and debilitating plantar fasciitis, in various treatments for a solid year. cortisone shots were a disaster - too much and caused its own damage to add to the problem. had 5 prolo therapy shots with some improvement, and then had PRP yesterday. Very, very painful, which i was not completely prepared for. But after reading everything i can get my hands on about this procedure, i am very hopeful for a full recovery. my concern is whether or not to have an additional injection, if recommended — there seems to be some controversy on whether this is a one shot deal or not. i can’t walk and am using crutches, but it is already better than yesterday. Same situation as SBsurfer (I’m a surfer too) I think I might have seen him over at the SLAP surgery site. Anyway I’m on my way in 15 minutes to for the prp injection for tendonitis on the petellar tendon.. Had ACL about ten years ago. ACL works great but lots of pain ever since where they used part of the tendon for the surgery. We’ll see. I think I’ll pop a percocet ( Still have them from the SLAP repair) Sounds like this is gonna hurt!! I had a PRP injectiong for non-healing severe golfer’s elbow (tendonitis) that I actually got from lifting very heavy weights. I stopped working out upper body for six months with NO change or improved healing. At the year point, I went to see Dr. Cosgarea (ortho for the Baltimore Orioles). He told me to try phys. therapy one more time and then the next option was surgery. During my phys. therapy, the excellent therapist told me about PRP. I did my research and chose to travel to the Hospital for Special Surgery in NYC (rated best ortho hospital in the nation). My Dr. was Dr. Brian Halpern. He’s executed about 300 PRP injections… meaning he has a lot of experience. I had the procedure done at the beginning of Oct. 2009. Now at almost the 4 month point, I am 100% pain free for daily activities and 90% pain free for pushing motions in the gym. I’m still no approved for bicep curls or rowing motions and was advised to wait another two months before trying these activities. BUT I CAN TELL YOU: PRP WORKED WONDERFULLY FOR ME. The pain of the numbing shot is NOTHING compared to the benefits and if you aren’t a total wimp, you will not care about the pain of the initial numbing shot (described here by others as “horrible”). No, what’s horrible is not being able to carry a carton of milk home from the store because of non-healing tendonitis. The shot cost me just under $2,000. The Dr. DID NOT charge me for my three follow up appts. Insurance does not cover the procedure but when you think about it, it’s not a bad price considering recovery from surgery can take up to a year along with needed physical therapy. If you have any questions about my experience, I’d be happy to help answer your questions. This was my last hope…and it worked. I just had a PRP shot done on my left knee as I have pes anserine bursitis & tendonitis in both knees. I found the procedure produced a pain Ive never felt before, and while it seemed to be going well & the bruising was looking more green than purple (sign of healing), it’s now back to its original dark purple color. It was 23 days ago I had the procedure & am having some serious doubts. I’ve done everything else ie: physical therapy, electic stim., massage therapy, accupuncture, ice, rest, elevation, ibuprofen, 3 sets of cortisone shots & tons of stretching. NOTHING has worked & I’m starting to think I’m now out of non-surgical options & surgery is the only thing left. Has anyone else experienced pes anserine bursitis or tendonitis on the interior part of your knee(s)? please update me on the prp injections for knee tendonitis. Had rotator cuff shoulder surgery for a “massive” 3 tendon tear 2 weeks ago. had 1st (of 4 or 5) PRP injection today to try to help the healing process post op and hopefully help prevent a re-tear. There was absolutely no pain and the only anesthetic was a freeze spray (no lidocaine, no nothing just pure PRP). The only pain was the $700 it will cost per injection - not too into the $2800 to $3500 this will cost, but I only have 1 left shoulder. People should stop the BS about PRP injects being painful - it doesn’t hurt nearly as much as what you are getting the shot for in the 1st place, and in my case it was painless. Sure wish PRP was around 10 years ago when I had ACL surgery on my knee. Think about it people, the logic and biology of PRP is simple and obvious. I’m thinking about robbing a bank so I can get injected into various other joints that hurt! I recently finished a round (3) of PRP injections as part of the non-surgical “cure” for my second ATR. Cdn$400 x 3, with free ultrasounds thrown in by Ontario’s universal med-insurance plan “OHIP”. There have been NO good (randomized) studies finished on PRP on ATR patients, though my surgeon just told me that one is underway. The first randomized study on PRP was just published about a week ago, on AT tendinopathy patients. It found that the PRP was exactly as helpful as saline-solution injections. That may or may not mean that I wasted my money and time (and yes, it was painful for me, but that’s also no big deal to me). All the patients in the study did exercise, and they all improved (avg.) by 20-odd percent. My physio thinks that the two conditions (tendinopathy and rupture) are very different, so he thinks it’s not surprising that PRP didn’t do much for tendinopathy, but it still might be “magic” for ATR. My surgeon (he IS a fancy surgeon, but he didn’t operate on me, because the new studies are showing that there’s no benefit from ATR surgery!) isn’t impressed with the study, “not a very good study”. His main beef is that the “control” — saline injection — is actually a treatment, that many people think can help tendons! On the other hand, I bet I could have bought 3 salt-water injections for a lot less than Cdn$1200. . . In the Middle Ages, people made decisions about matter and forces based on LOGIC. The scientific revolution came about when people started believing the EVIDENCE — results of scientific EXPERIMENTS — instead of the results of LOGIC alone. That’s why EBM — EVIDENCE-based medicine — is so revolutionary. So far, PRP has more support from logic than from evidence. I’m very eager to see the results of the study on PRP for ATR. I have been diagnosed with Achilles tendinosis (f/k/a tendinitis) I will be getting the PRP injection. My doctor at HSS in NYC was very up front about the Dutch study published in JAMA a few weeks ago, and referred to earlier in this blog by normofthenorth. My doctor was surprised by the studies outcome because in his experience, PRP has been 70% to 80% successful in treating minor/micro tearing in the Achilles tendon. I believe I will be getting just one injection, followed by 4-5 days of reduced activity. I was surrpised by some of the earlier posts describing weeks of inactivity and the need for boots or crutches following the injection, but perhaps their condition was more serious than my own. Good luck to everyone. I will let you know how my PRP therapy works out. George, the “weeks of inactivity and the need for boots or crutches” isn’t because of the PRP injections, it’s because of a torn AT. Either with or without surgery, a post-rupture AT needs a little TLC before you start tugging hard on it again. The PRP injection(s) may (or may not) speed the recovery. Hi Laura, I have had the PRP injections in my facet joints, in the lower back i recommend to have this done, also watch a company called Mesoblast. I had a PRP injection in my right elbow two weeks ago. I am no wimp, it was terribly painful, enough to make me want to vomit. Two full days of terrible pain not relieved by two Vicodin every 4 hours. My doc warned me only that I would need the pain meds that night. No mention of the pain during the injection.My hand was swollen for a good 5 days. Two weeks out and arm feels about like it did before injection. I am right handed and still have to eat and do most activities with my left. I will be starting physical therapy later this week, hoping for a good outcome. Good luck. This whole PRP topic is great! Be careful not to draw too many conclusions from a small Dutch trial. There has also apparently been a study with PRP use in lateral epicondylitis showing benefit. Which results do we believe? Bottom line is PRP has simply not been studied enough. 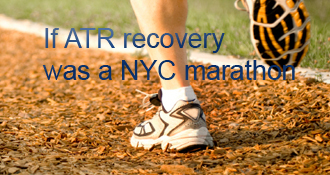 I’m a fairly competitive marathoner and have taken great interest in PRP out of desperation from an ailing achilles. That being said, I underwent PRP injection last week. Paid out of pocket. The injection just about brought me to tears. Pain resolved fairly abruptly after 24-36. One week out I’m feeling great, but now am confused on how best to rehab. Can’t seem to get the same opinion twice. I’ve been in a boot this whole time and plan on wearing it for another week. I’ve been doing some gentle range of motion, but no significant stretching or eccentric loading. All I know is I don’t want to screw this up because I don’t ever want to undergo another one of those injections. Anyone have a well documented rehab program? Hope those who have posted are recovering well. I had a PRP injection for microtears in my achilles. I do high impact step aerobics, cardio kickboxing, and jogging. I ignored the pain for months until I couldn’t anymore. I wanted to reply for those who were asking about the pain. I’m a 32 yr old female (with a high pain tolerance) and the whole PRP process was painless. The numbing injection only hurts for a minute. I couldn’t feel anything while the Doc was injecting the PRP (b/c I was numb, duh!) but I had to look away b/c I was getting grossed out by how far in the needle was going. The injured area is still bruised, but in the mornings prior to the injection, I would move like a cripple while the tendon stretched out. That pain is gone. I tried physical therapy a few months ago, but what a time commitment for slow results. Maybe I will post again in a few weeks to let you all know if the pain is gone when I workout, since I’m still under Dr’s orders to stay off of it and wear a boot! I had a PRP on my Achilles (tendinopathy - long term) mid January. The procedure was fine (pressure, not pain) and after about 3 weeks I was feeling really good about the whole thing. The pain had reduced considerably and the swelling around the tendon nodules was also much reduced, although the nodules were still very apparent and still sore. But, now 6 weeks later, I really feel it’s no better (i.e. it worked for a while and then went backwards). Not sure whether to have another or what to do next. PT helped a bit but the cost-benefit was not really good. I am not an athlete but I am active and I hate not being as mobile as I would like to be. Is surgery the next step? Has anyone had success with more than one PRP? Did anyone have a PRP injection to repair a bone on bone knee joint? My doctor told me that it is much better than having a total knee replacement. Anyone have this injection into their knee(s) to rejuvenate torn or lack of cartilage? Please send me an email to mikespenser@hotmail.com and put “PRP Injections” in Subject line so I do not trash the message. I had PRP injected on my inner thigh and Prolo, my outer for hip arthritis. The area that the injections went in have been tender for years but the pain of the injections was horrible. I do not feel much pain this evening and am hopefull the painful injections were worth it. My doctor said it wil likely be less painful with each treatment. Crossing my fingers. Plantar fascia - PRP injection. In 2008 I had surgery to reconstruct my ACL, clean up tears in both meniscus, and had to be not weight bearing for 2 months due to a fx of the tibial plateau. 8 months later had to have surgery to shave bone due to excess bone growth around the fx that limited my extension. I favored my knee during this time a developed plantar Fasciitis. I have had PT, and numerous other treatments that haven’t worked. Today I had an injection in my plantar fascia. Like most of you I researched the procedure after my dr. suggest the injection. The numbing of the anke area felt like a bee sting. I don’t feel like the heel area was very numb when the dr. did the PRP injection however the stinging I felt during the procedure wasn’t anywhere as painful as the pain I have daily! Yes it wasn’t pleasant but I wouldn’t say it’s the worst pain I’ve ever had.Then again I have a very high pain tolerance. When the Dr. was finished he said “You’re one tough woman.” The procedure was about 4 hrs. ago. My heel aches but most days after work it throbbed a lot worse!! Told to rest for the weekend & ice. No crutches or braces. Not sure about this part! Anxious to see the results. Anyone else previously had PRP injection for plantar fasciitis? Resutls? Mike, I am currently going for PRP for a bone on bone hip problem. To date I just had one treatment, my next treatment is the end of next week. The PRP did not hurt. I was sore for a couple of days afterwards, but nothing awful. I’m hoping it will work. The doctor said it helps over 90% of people, so I’m hoping I’m in that percentile. He also said that after 4 treatments we’ll know if it is going to work. Good luck to you! My experience is, so far, the same as yours (Achilles tendinopathy PRP). Seemed better after 3-4 weeks and then went backwards after I picked up more activity, eccentrics, etc. It’ll be 6 weeks since my injection and I’ll have my follow up this Weds. I’m interested to see what that ultrasound will show, but I think I know the answer, which is that it’ll show no improvement based on my symptoms. I’m not really sure what to do next. A second injection seems and expensive long shot given the first didn’t seem to do anything. That said, I’m glad to hear it’s working for jeepin. The doc’s sure love it so I have to assume it works for some people. I had the PRP done yesturday. I about passed out from the pain when it was injected into my shoulder!! But the injection into my elbow was nothing compared to my shoulder! Hope it works!! I had the PRP injection into my ankle joint 3 weeks ago. I am still suffering. The procedure was the most painful thing I have ever felt in my life. I had a shot of lidocane but the surgeon didn’t even wait one minute before doing the injections. I wore a boot for 2 weeks and the ankle wasn’t hurting too bad until I stopped wearing it. I loved reading all the comments to see how everyone reacted from this non surgical therapy. I think I’d prefer to just have another surgery so I will be knocked out and not have to feel that pain again! Katie, the PRP is only a minor and unproven add-on to the non-surgical ATR therapy. AFAIK, not ONE of the four randomized prospective trials used PRP — the studies that found the non-surgical therapy produced results just as good as the operation, and without the complications. My three injections were only moderately painful (without pain-killer), and only for the moment of the injection. Maybe just lucky, who knows? Norm- thanks for the response. I have had an on-going ankle problem for a few years now. I had arthroscopic surgery last summer which didn’t help and I personally feel only created more damage as all of most of my problems are soft tissue related. I am now a patient at HSS ( so i know i am in good hands ) and they want to do anything they can to treat me without doing another surgery as it will increase the tissue problems. I had steriod injections a few months ago under ultra sound and they helped for a few months and I had the PRP because the pain came back. This weekend I was on my feet more than I have been in the past few weeks and I am in a lot of pain - I came across this thread when searching for the amount of time it takes most people to find relief post PRP. The procedure, as I said, was the most painful thing I have ever felt. I had it done in the office - there were complications with drawing my blood (they had to try 8 times in different spots before we finally had enough). We’ll see how I progress! Please, keep us posted about your PRP progress. I wasn’t convinced about PRP and my Doc. nether - so I didn’t get any. I recieved a PRP injection to my right achilles four days ago. Prior to the injection my doctor put me in a boot for a week to try to calm the area down a bit. The injection was not bad at all. The blood draw was the hardest part of the procedure as they couldn’t seem to find a vein. It was extremly sore through the night and really bad in the morning. But after that, the pain has gone away and the swelling is nearly gone. It seems from what I’ve been reading, that the pain associated with the procedure is very much an individual experience. My doctor emphasized heavily that I was to be inactive as much as possible for the first week to allow the Platlets to get in there, swell the area, and activate the bodies healing mechanisms. I will then be in the boot for three to four weeks. My doctor was honest in telling me that this procedure will not work for everyone, but he sees about a 90% success rate in his practice. 16 years ago I ruptured the left achilles. Even if this takes six months to repair , it beats a full blown achilles rupture recovery. Lisa from February 22, 2010. How are you progressing? I had PRP in my right elbow 2 weeks ago and had basically the same reaction as you. Please tell me there is hope and it was all worth it. I’ve had plantar fasciitis for 3 yrs. Pursued all modes of treatment for it, ie Endoscopic fasciotomy, ESWT, phys therapy, cortisone, etc. with no perm relief. In Nov ‘09, rec’d 1st PRP injection; helped tremendously. In May ‘10, rec’d 2nd; didn’t help at all. In June ‘10, rec’d 3rd and final PRP injection from an orthopedist; this time, using ultrasound (1st MD did not use ultrasound for 1st 2 injections.) Too early to tell if it’s helped; still in the walking boot. Good to read other’s experience here. Given 1st one helped, I”m hopeful this third one will as well. I see a lot of of plantar fasciitis stories here. The best treatment for me was a deep tissue massage . The massage therapist, in addition to working on the rest of my body, spent a good portion of time on my feet. She really dug deep into the tendons. Having someone dig their thumbs into the bottom of your feet is not the most pleasant feeling , especially when you have PF!! but for some reason this helped. After about 6 sessions the PF pain dropped off by 98%. Rolling my foot over a golf ball for a few minutes a day has helped keep the PF away. When I first went to “Weight Bearing As Tolerated”, my heel really complained about holding me up. Even at first in the boot, but then again in 2 shoes and barefoot, especially on hard floors, and especially-squared on rough surfaces or (God Forbid) while stepping on a phone cord or any other “hazard”! When I told my PT, he suggeted that I sit with a golf ball under my heel and roll the ball around with my heel, as a self-deep-massage therapy. It seemed to help. PRP does work but there are varying methods of prep and proper application is important. Some PRP kits attempt to isolate the platelets in plasma w/o WBCs (white blood cells) but platelet concentrations tend to be lower. Another method is to isolate platelets using higher centrifugal settings which causes a higher platelet concentration but leaves WBCs in the mix (may or may not be good). In the case of planar fasciosis, you need the WBCs to help initiate the inflammatory response. However, planar fasciitis indicates inflammation is already occuring so WBCs may not be good. So, proper diagnosis w/ proper treatment could be a reason why some arent seeing the benefits. If you are wondering whether PRP works I will tell you that there is plenty of literature suggesting that PRP can be helpful in numerous would healing situations, and this is based on platelets containing several growth factors. If you do a search on pubmed you will find many publications stating such. Here is a quick review of platelet science from a colleague of mine. Back to report on my progress…. There was no progress at all, more of a regress! The PRP did not work for me at ALL it only made me more swollen than ever! and 2 does it hurt when it is in me? Has anyone had this procedure for posterior tibial tendonitis in arch? Any reports of recovery experience from HSS doctors? marybeth - who is your dr at hss? There is a lot of information at this site. I am seriously considering the 1200 mile trip. Dr Farshchian will review x-rays and MRI before you commit to the trip. good luck let me know how you do. I had my first knee surgery in 2001. Since that surgery I have had many, many episodes of tendinitis. In April of 2008 I re-injured my knee the end result of surgery in August 2008. I was healing well from the surgery until Christmas and I started going down hill again with the end result of another surgery in August 2009. So here I am, yet again, with the same result. Healing well for a few months, get to a peak and then regress again (at this point I have had three surgeries and six procedures). My doctor gave me the option of PRP or surgery again. I choose to give the PRP a chance. I was told that it was going to be very painful because no numbing meds could be given because the Novocain would destroy the platelets. I had the injection yesterday. I can not even describe the level of pain during and after the injection. I can only akin it to what I experienced after the previous surgeries.Needless to say, I have been on vicodin every four hours since then with little relief. The knee is severely swollen (which I expected). I was instructed to limit my activities for the next two days and to keep ice on it as much as possible. I was also told that if I had not improved by at least 50% within the next two weeks then further injections would more than likely not be successful. I will keep you informed of my progress as I am SO not wanting to have an additional surgery (which BTW would entail another three separate procedures. At the Center for Regenerative Medicine in Miami Beach (arthritususa.net), Dr Farshchian will apply numbing agent if requested by the patient, prior to the PRP injection. He also treats the affected site with a cold laser to stimulate blood flow and healing.after the injection. To those who experienced significant pain during/after PRP injection, did you not receive local anesthesia (e.g. lidocaine)? Most of the PRP literature I’ve seen have noted use of anesthetic to reduce the pain, and there are published articles that note minimal to no change in the inflammatory (i.e. healing) response with lidocaine/bupivicane use. I guess what it comes down to is, PRP is a novel experimental therapy and is a highly practitioner dependent at this point. Ultrasound guidance for the injection, needling of the surrounding area, type of PRP-preparation device, etc. all contribute to the effectiveness of the procedure. There are a variety of ongoing studies going on right now that will hopefully address the various facets of the best practice in applying PRP. 46 year old female here, took up tennis about four years ago. Started playing competitive interclub tennis and blew out my elbow in the process (well, didn’t blow it out, but did tear up a tendon in my left elbow). I had my first prp injection today. I was really nervous going in, but the doc and his staff had great bedside manners. The doc put a nerve block (shot) right above my elbow. Then they took my blood, spun it, and the doc proceeded with the injection about 15 minutes later. Due to the nerve block and numbing meds on the way in with the needle, It really wasn’t that painful until one brief moment about half way through the injection when it felt like the doc hit a nerve. I let out a uncontrollable scream and flinched; I actually saw stars. I was very tense for the rest of the injection (bracing for that same pain). It never happened again .. only once. He needled my arm for what seemed like a good 10 minutes. It’s over now … I’m at home with prescriptions for tramadol and vicodin (take as needed). I took one tramadal to stay ahead of the pain, and I am supposed to ice my arm for 30 minutes every 2-3 hours, according to doc. So far things aren’t so bad .. sure, my arm is sore and will be for about a week. Fingers crossed this works. The last thing I want is surgery. Would like to hear from anyone who has tennis elbow and had the procedure done, and does med. insurance cover it? It’s been 4 1/2 weeks since the PRP injection in my right elbow. During that time I’ve search through the internet to find out if my post-injection systems are normal. The conclusion I’ve come to is that every persons experience is different, and that the pain factor is totally dependent on the person. My injection was the top three most painful procedure I’ve ever felt (spinal tap and prostate were the two others). I had my hand in my mouth, bitting down hard, just to deal with the level of pain. I thought the needle was still in there based on the expanding nature of pain in my arm. It felt like a balloon expanding in my nerve — very strange and awful feeling. Now, the pain is still there. Over 4 weeks it has gotten exponentially better — 1% a day — that’s how much the pain subsides. Now, I’ve hit a plateau. I would love to this thing to be healed and done so can get back to squeezing and pulling. I have allowed this to heal as best I could. I’ve, basically, pretended I have no arm and now I want my arm back. Do I need to start strengthening it even though it’s still painful? What a pain in the…. Before paying for a weight loss or diet plan plan that might not live up to expectations it’s good to investigation some free of charge info This will allow an individual to begin out with a easy understanding from the techniques of losing weight. Just a suggestion - I am preparing to have my first PRP injection in the next couple of weeks. My doctor explained that he provides no numbing agent because it may interfere with the platelets doing their job effictively. However, they did off to sedate me with a “twilight” sort of medication (Versed perhaps). I would probably only be under for a very short time, but he HIGHLY recommended going for the sedation. Jada, How are you doing now. I’m going to be talking to my dr. at HSS. soon to try this. Can’t take the pain anymore. I truly like your post. I discovered it quite usefull. I will have to go to your website again some day. Having PRP on Thursday in both wrists…have been battling DeQuervain’s for almost two years. A bit nervous after reading about the pain of the injection, but my hands have hurt for so long I’m willing to try it. Jessica, hope you start feeling better and more mobile. I think that larger areas, like elbows and knees, would be more sore…larger tendons. I’m hopeful that this will be bearable, although I’m taking off through Thanksgiving weekend. I’m on the computer about half of my work day, but I can be flexible about some of it. Thanks for the good wishes. I had the PRP injection in a torn tendon on my elbow. I am, by no means a baby, but I cannot describe how painful it was. Not only the injection, felt as if I could have vomited, even stated that fact. Took a good 5 days for the pain to subside. My elbow, forearm and entire hand doubled in size with swelling. Unfortunately I haven’t had to much success with it. Long story short, I am happy for those who have found relief but this was so unpleasant I would never do it again. Not to mention it cost me $500, deemed experimental by my insurance carrier. Wish I had just had surgery and gotten it over with. I have babied that particular arm so much now the other elbow is affected. 24 hours post-injection…I’m starting to swell and bruise, but the soreness is bearable. Ice is my new best friend…it never really helped much with the tendon pain, but it feels very good right now. I can’t even lift a coffee cup, and I’m supposed to baby my wrists for a couple of days. I do sympathize with those who’ve had injections in the elbow, knee or shoulder, as I know those are much more painful. I was happy when the injections were over, but it wasn’t much worse for me than a cortisone injection…although major discomfort set in almost immediately after and lasted a couple of hours. If I get some relief from this first round, I’d try a second…even if my insurance doesn’t cover it. After 1 year of aggressive PT and rest, 15yr old daughter just had PRP injection done on throwing elbow (golfers elbow as he described) two days ago. After lots of research, we knew going in that the injection was going to be painful. No local injection prior, daughter said it felt like doc was scrapping muscle against bone but pain was not that bad. This injection was done by a local Ortho Surgeon who specializes in sports injuries, and we were in and out in 30 minutes. No pain medication afterwards, just ice! We will see how it goes from here…. I am 5 days post-PRP injection for tennis elbow. I cannot begin to describe how amazing my doctor was. The pain I was expecting was nothing like I imagined. I would say it was a little more painful than a cortisone injection, but barely. The lidocaine shot was slightly painful, but nothing most people couldn’t withstand. He drew my blood (barely felt that too), and then 10 mins later he came back and injected the plasma. Never felt the needle go in, but I did feel it at the very end when he was putting in the last of the plasma. Burned a little bit, but again, nothing like I’ve read or imagined. I’m ready for shot #2 in one week! I am 49, and have been an avid runner - injury free - for over 30 years. Last August, I developed acute Achilles tendonitis, and took a break from running. I started running again in October, only to have to stop again. I am now 5 weeks into wearing a boot, and it is marginally better. I finally saw an orthopedic and had an MRI. It turns out I have “Haglund’s Deformity” (pointy heel) and a partial tear in my Achilles. I have two options: 1) try PRP, 2) have surgery to round out my heel and repair the Achilles. I am looking for advice. While I would still have the heel issue if I had the PRP only, would you recommend giving it a try? Then again, if I think the recovery time for surgery is just a bit longer than the recovery time after PRP, why not have the surgery and take care of the heel as well. First, let me say that I have worked with Doctors for over 22 years and kind of find it funny that nobody understands that they are a greedy bunch. That being said do you all realze that with the approx. 150 posts here based on an average of 1.5 injections that represents 250k dollars in revenue !!!! Second, I have had my own surgery history…bilateral hernias, both hips replaced (six weeks apart), total rotator cuff repair (5 procedures in one operation. I know what I have researched and with all due respect this is no better than 50% possibility. There are many variables everything from the doctors expertise to the centrifuge machine to the needle. As well there are many factors with each individual injury. That being said, I will reccommend that you all try to find a therapist who does ASTYM. It is basically the same theory as PRP, is covered by insurance and less complications as many of you hvae described. BTW those of you applying ice to your injection site are reversing the process that is trying to be accomplished. The difference between tendonITIS and tendonOSIS is tendonosis is degeneration of tissue. So PRP is suppose to CREATE an inflammatory response so as to GENERATE new collagen and hence tenson tissue. ASTYM does the same thing. Just google it and find a therapist and try it. Then if nothing I would suggest surgery…. HI, has anybody had a saline injection?? I had 50ml saline into right achilles,10 days ago to the right achilles tendon for tendinosis (also identified the achilles is split on a scan) still in a lot of pain and having to keep the leg elevated most of the time. Hoping it will work and I will not need surgery. Can’t wait to get back to hiking/climbing…..
Alison, there’s some info about saline injections that may be helpful in my post above, from January 31st, 2010. When you say “still in a lot of pain”, is the pain from the injection? As you can see here (and elsewhere), many people find PRP injections murderously painful. I doubt that our nerves can tell what’s being injected (slightly concentrated blood plasma, or saline), so I assume the pain just comes from having fluid injected into a tender (injured) spot. I had a cortisone injection into the left foot for plantar fasciitis a few weeks ago. It was a bit easier to be objective about where the pain was coming from. 10 days post saline injection right achilles and much more comfortable to keep leg elevated. keeping leg elevated at work (awkward) and wearing a moon boot. I don’t even think I felt the injection too much. The Dr. did say he did not manage to reach all of the neovascularisation with the saline and so may have to have the injection again. I agree with your Dr. some of the studies use saline as a placebo when it is used as a treatment. Im also really keen to hear anecdotal evidence. Hi, 35 male, had arthroscopic shoulder surgery 4 years ago for rotator cuff tear. A few months ago my pain came back strong. I am lifting heavy weights in the gym so this was bad. Had my PRP a few days ago.Was very painfull. Purpose was to repair torn tissues ( laborn or something like that) tissues. Pain was really really bad! now 2 days after, much better. trying not to move my shoulder. I was injected with 14CC (taken from 110CC of blood). Will update progress in 4 weeks (hopefully i will remember). I had 3 prp injections to my left knee - one by a sports medicine doctor and two by an orthopedic surgeon. It offered relief for a about month but the pain returned worse than before and I feel the doctors are making money off prp and giving patients a false sense of hope. My advice - DON’T WASTE YOUR MONEY! After having had three prp injections to my left knee by two different doctors, and had temporary relief, the pain returned worse than before. My advice: DON’T WASTE YOUR MONEY! PRP does not work and doctors are making money off patients while giving them a false sense of hope. I had prp injection earlier today into my SI joint. The dr numbed me up with lidocaine which that hurt some but really wasn’t all that bad. He took 60cc of blood and injected a total of 10cc into 2 different spots. He used a fluoroscope to guide the needle in the correct location. The whole thing took about 30 min. But then it didn’t take long for the lido to wear off and the pain kicked in. By the time I got home I couldn’t even sit down. Well I could kinda sit but couldn’t lean back at all. So finding a somewhat comfortable way to sit or lay down was a huge challenge. The pain meds I have are not helping much. Dr said that I will seem to go backwards in my recovery for the next few days before it starts getting better. Not sure I can take a few days of this. I’ll try to remember to come back here to leave an update. Didn’t see any other posts regarding prp in your back or spine so wanted to share. I am a 65 year old male who toe the medial menicus while skiing and reinjured it playing gof. After three PRP treatments my knee felt like new. I only feel a little stiffness when there is a big weather change. The great news is I am pain free and am able to golf and ski again. For all that is wondering about personal experience with PRP. I am 22 years old and have participated in very heavy spots/exercise for most of my life. Eventually, I developed medial pain in both knees, rotater cuff, and Achilles tendons. I have have a total of 3 PRP injections over the last 4 months and must say that it HAS helped, but has not completely cured the problems as the doctor PROMISED it would. I am better off than before but not as well as expected. Currently I am still recovering from a PRP injection in my left Achilles tendon. The procedure occurred 2 months ago and I am actually WORSE OFF then before. I am scheduled to go back in for a check up on the situation in 2 days. Im not sure if this particular procedure was doctor error or not; i just know that out of the 3 PRP injections procedures that I have experienced, 1/3 has made me worse off. I’m not saying that PRP does not work, but just be aware that problems can happen and that the word of the doctor behind the needle cannot not be fully trusted. I will try to follow up on this as soon as I meet with the doc in 2 days. Had my injection wednesday on left elbow .I have never been in hospital for anything before but at 44 have had experience enough to know i have quite a high pain threshold.. I have a manual physical job which is repetitive and strains my arms and after a shift my elbows have pain on full extension and are sore to touch . I had been told on day that i was having a local anaesthetic by the nurses and it was on the letter i had received as well. I was totally relaxed as I chatted and joked with doc and the good looking nurses while my blood was being spun . it was only when the doc had the plasma filled needle in his right hand and a grip of my arm in his left that I realised that a procedure may have been missed out ( I’m laughing now ). suddenly it made sense why the nurse to my right had taken an interest in my work and started firing questions at me at the speed of a bullet !. The pain honestly made me feel like being sick. I somehow managed to tell the nurse she was wasting her time lol . I’m not writing this to put people off but the nurse said they don’t do anaesthetic with procedure as it might interfere with plasma . I was not told to avoid anti inflammatory tablets either or have a sling . If procedure works i am due to have my right arm done and I will be taking my tramadol tablets before i go in lol . currently my arm is as sore as it would be after a shift at work , I am on light duties as of monday so i will update on progress in a couple of weeks . Hi, I have just had my first PRP injection for achilles tendinitis and micro tear in my heel. The pain is miserable and burns like heck. Is this a common reaction? My doctor said it would not be painful post procedure and did not give me any pain meds. After 8 hours of steady burning I am waiting for the meds to be called in to the pharmacy after I called the office and asked for some relief. Ouch. I am looking forward to getting back to hiking in the beautiful mountains, yeah! It has been about three years ago since I had it done but I do remember it hurting and it had a burning feeling. My doctor told me that the pain meant it was working. I had it done twice and both times it felt the same. My achilles was about 90 percent torn and it is fully healed. My doctor did prescribe pain medicine although I never took it because the pain didn’t get too bad. Since mine was torn I had to stay off mine and was on crutches and cast for 8 weeks. The PRP injection was nothing compared to the recovery from shoulder surgery that I had last year. Good luck hope yours works out. From what I have heard it works great for some and it doesn’t work for others. I’m 37 and about to undergo PRP for a partial Achilles tear and chronic tendonitis next week. Injury is now 6 months old and have had several physio sessions with no positive results so far. I’ve been given no advice from Dr as to how to manage after the procedure, but am having second thoughts as I have three young children and not sure that hobbling around on Christmas day is a great idea. Has anyone got any feedback as to how long my mobility will be affected? Also, interested to hear from anyone in Australia who has had the procedure. Seems quite uncommon and very little Aussie based info available. I underwent the surgery on nov 10th after hobbling around since may, did not know there was a tear until MRI in sept and tried the physio unsuccessfully. I do not have young children and I am 47, the surgery was good but the recovery is a drag. You will see by the differences in protocols from each person. My doc is more conservative, he has tried it both ways and has more success with the 6 week castings and then into a boot. I go into boot this coming Monday and can’t wait! Mine will have 2 wedges which 1 will be removed at end of each week and then hopefully no more crutches. It will be hard with no independence, mentally more than physically. I have meltdowns still because of the dependency of others. I would tell you to rent a knee walker which will help you get around better than crutches. I did not really find out about it until last week do I figured it would be a waste of $ at this point. Good luck with your surgery and read these blogs to help give you info with your recovery! I had two separate injections. When I had the first I was in a boot style brace and on crutches for six weeks. When I had the second one I was on crutches for I believe two weeks, so getting around was a little slow. I have little kids but I also have a wife that was home taking care of them. I know all doctors do things different but mine believed that not walking on it and allowing the injection to settle in would work the best. For me everything worked good but I have heard it doesn’t work for some. You don’t have to understand probabilities or statistics to become an Ortho Surgeon (even a pretty good one), and you might want to educate your OS about what the big studies have revealed. Early WB seems to HELP outcomes, on average, and early ankle mobility (boot-off wiggling and PT) is also either positive or at worst neutral. The UWO study is on this website, and its (nice fast) protocol is linked from that text, IIRC. I’ve also posted the protocol, at bit.ly/UWOProtocol . There’s NO casting, WB & exercise and PT all start at 2 weeks, FWB (”as tolerated”) at 4 weeks. It’s way friendlier than your guy’s plan, and their (published) results are probably better, too, so why suffer longer? Your Doc’s little sample is like the guy at the bar telling us about his uncle who lived to 103 while smoking 3 packs of smokes a day. Better to drink in a more intelligent bar, if you can! I am 44 and will have the PRP injection done on Dec. 30 to my hip. I don’t really have any idea how my injury happened other then I was doing a cardio/kick boxing activity. I have been struggling with the pain since summer and finally getting an MRI in November, determined my hip tendon was slightly torn. The doctor gave me two suggestions, PRP or hip replacement. I was truly shocked that those were my only two options. I decided to go with the PRP thinking that would be the less evasive option. I have been searching for information on PRP for the hip, recovery and how patients are doing now but have not really seen too many results for the hip. I’m hoping it will be successfull and I will be able to go back to working out and doing other activities. I haven’t been able to do anything for several months. If anyone has information or experiences to share on PRP for the hip, I would truly appreciate it. so very glad i found this blog; I have been contemplating the PRP treatment for right quadricep tendinosis /tenindopathy. I play lot of tennis and recently over last couple of years i got into hiking,only recently transitioning over to “poles” on the downhills. I am a lanky dude, 6′2″ but 70% leg and i think the constant tennis on asphalt and the recent hiking brought this on. i have been doing spinning and eccentric loading on a slant board over last few months in a regimented manner to see if the right quadriceps gets stronger, but alas i found the pain returned when i got back to tennis 1st week of January. My sports medicine specialist offers prp and stated he can provide it,. saying his clients many of whom are tennis players on the local stanford team have had good success. He cant guarantee it will work but says that since my MRI shows no structural damage the sympoms i have (instability and pain in right leg, inability for the quadcricep muscle in that leg to fully “fire” compared to my leg, especially evident in spinning, pain at the junction of quadricep muscle and top of patella) indicates that this quadrices tendopathy is the culprit.. This ASTYM procedure, has anyone with knee issues attempted and if so what kind of results have you gotten for it? I would so like to return full bore to my tennis, but i am worried bout going through what may be a very painful prp shot and recovery (anyone have recovery time?) with the risk of it maintaining status quo or worse. Curious, for the folks who have had prp for quadriceps tendinosis or the similar-in-vein patellar tendinosis, did you first try physical therapy with ASTYM or ART , or *any* physical therapy before proceeding with prp? These are for folks who had just purely tendonapathy, not necessarily any complications such as ruptures, etc. For lilac3785, I just stumbled across this forum. I had PRP done on 2/15/12 for IT band and gluteus medius tendinitis/possible tears. Obviously I’m still in the beginning stages of recovery, but I’m definitely hopeful. I have had both hips scoped and my right one reconstructed. Unfortunately, my right hip has not recovered like I wanted. So, the hope is the PRP injections will start to heal my tendon issues. As far as the pain of the injections, my opinion is that they just plain sucked. But I was warned beforehand. Yes, I had lidocaine, but the fact is that the PRP expands when it gets in there and makes for a very “full” feeling. I’ve had tons of different injections in my back, hips and knees, and none of them hold a candle to the discomfort I felt from PRP. But, I was in pain for less than 24 hours; after a week, I feel pretty good with slight pain left … much better than the pain from the raging case of tendinitis I had. I am also a runner, and after being sidelined for almost two years with my hip issues, I’m ready to get back out there. Lastly, whatever doctor said you need a hip replacement because of a torn tendon is a doctor you should not visit again. I had a PRP injection in my right elbow 2 weeks ago for tennis elbow. I had tried everything for the past 6 months to get rid of it and this is my last resort before surgery. The shot was painful, but nothing worse than dry needling. After 2 weeks I can say that the elbow is definitely worse at this point, which the doc told me would be the case. He told me I would not even begin to start feeling better until the 4 week mark and would not be able to start back to tennis until week 8. I will keep the updates coming because there are a lot of people such as myself wondering what happens after the injection and how well it works - I am staying optimistic. I went to the doc for a 6-week follow-up of the PRP injection today. The elbow hurt more for the first 5 weeks than ever and I was very disappointed in the result. At the 5-week point I decided to ice the elbow after my evening workout and it began to feel better every day. Yesterday morning I woke up and realized that I could lift the pillow without any pain for the first time in 6 weeks. This morning the doc used ultrasound to take a look at the tendon and did a comparison between the same tendon 6 weeks ago. We were both amazed at the difference, yes even the doctor was amazed. The tendon looked as good as new without any tears and it has a nice vertical flow to the fibers. Previously, it was a mess of inflammation and a tear. I am sold on PRP and would not hesitate to recommend spending the money to do it to anyone. I’m a 57 year old female and I made an appt. for a week from today to have my right arm injected first. I’ve had chronic tendinitis in both elbows for years. My question is my left arm had surgical repair over 10 years ago - is PRP ok for treatment after prior surgery? Yes, I tore up that elbow again after the surgery. Just had my first PRP injections today for achilles, plantar fascitis and knee tendinitis caused by Cipro. Have previously tried 3 sessions of dextrose prolotherapy, with only minimal results, so hoping this will do the trick. Actual injection wasn’t as bad as I expected; no picnic but not really any more painful than prolotherapy was. I’m not in any boot/crutches but it definitely hurts to walk. Hoping by Monday I’ll be OK to return to work! Will share updates as I recover. Cars and all other vehicles are my life, good article! I developed tennis elbow from motocross; after 3 months of physical therapy saw very little improvement. Went to sports ortho doc and he suggested PRP. He exlpained that results were very good for some not so good for others but usually saw a 50% improvement in symptoms within two weeks. Mentioned there might be mild discomfort after procedure for a few days. Procedure itself was nearly painless. Lidocaine was nothing worse than any shot, plus some burning for 10 secs. Shot in 5cc’s of PRP, needle was in my arm for maybe 3 - 4 minutes of Dr jabbing multiple times in tendon. Sounds bad but felt nothing. 20 minutes out of Dr’s office started feeling some pain continued to build into the worst pain I have ever felt since having ortho surgery on compound fracture from motorcycle accident…had 13 pins and a plate put into right leg. I mean the kind of pain that starts making you frantic. Had Doctor call in pain meds, drove by pharm on way home. Vicodin…grabbed bottled poured 4 in my hand and straight chewed them up….proceeded to take 2 more every 3 hours…successfully blunted the pain to bearable mostly stayed in bed and slept next 24 hours. Next day much better, could not move my arm frankly was pretty concerned that something had gone wrong during procedure. Each day got a bit better …after 2 days could move my arm after 4 days could work on computer with discomfort occurring only during movement or strain. I am seven days after procedure still much more sore than before procedure. After reading some of the comments feel that Dr did not prepare me or inform that discomfort could last more than a few days or that there could be intense pain involved. If this works it will be worth enduring 24 hours of pain. However i would suggest taking pain meds right before procedure to get ahead of the curve. Will update in another couple weeks. Just had PRP injections to my achilles two days ago. Procedure was fine but really feeling the pain after. Have a boot but still can’t put pressure on it or walk. Mark, I was in non-weight bearing casts and crutches for 4 weeks before I got my boot and was allowed to go full weight bearing. You don’t say what your doctor said about when you can go full weight bearing but in my opinion, getting a pair of crutches would be a good investment. Had prp injection in elbow and knee today. Lidocaine first, but didn’t seem to work or last. Wish I had percocet b4, not just after. Knee was almost pain free but needle did not go into tendon or meniscus. Elbow was excruciating pain, horrible! Ultrasound guided, needle in tendon. Had someone to drive me to pharmacy for meds then home. No ice or advil for next two weeks. To follow up in two weeks. I was so happy when I recieved my first PRP injection, but after a couple of weeks I had to have another one. It’s now been almost 8 weeks since the injections. The first several days I wore a boot and for most of the first week had to use crutches. Since, it’s gotten progressively better, however, at week 7, it’s still very sore. I’m continuing to do my own physical therapy which I am hoping will assist in the recovery time. Hi- I had 2 PRP injections done for a partial tear in the plantar fascia. It’s been 3 wks from my 2nd injection. I am still really sore. IT comes and goes though. I have had some days of feeling like I received a new foot out of the whole thing. RIght now though I’m in a sore phase and am frustrated. I got off crutches and the boot after 2 wks of the 2nd injection, I’m hoping that wasn’t too soon. Do you still have soreness now…how’s the recovery going? Had a PRP shot for chornic achilles heel tendonosis 4 days ago and am feeling amazingly well already. First night after shot was toughest- could barely sleep and felt weird sensation of blood flowing up and down my leg (which I hoped was healing). Next morning, I felt much better although still pain on second night and a bit third night. By day/night 4, no pain at all and finding it can walk without crutches with little to no pain (although trying to mostly stay off foot to keep healing going). At this point, I am feeling that recovery will be really quick. Hopefully not fooling myself! I plan on week two swimming as exercise, starting ART at PT after week two and biking by week 3. Curious if anyone else has experienced this quick of a ramp back up. By the way, 45 year old male who has historically been active. I am a 45 year old atletic female. I have had Achilles problems for the last two years so I got PRP done. The first two injections did hurt because I was not given any anesthetic but after the second injection, I felt about 50% improvement. I was in the walking boot for about 2-3 weeks before I was able to walk without it. But being in a job where I am standing on my feet all day, I would need to elevate and ice my ankle as soon as I got home. For my third injection, I actually got local anesthetic before the procedure(no pain!). I asked why I didn’t receive anesthetic earlier and was informed that it depended on the policy of the company that provided the equipment. After the third injection, I am no better off than after the second one. The doctor stopped with the injections and now I am going through PT to try and strengthen the area. Hope it works becausei still can’t run or hike very much right now. I am grateful to have come across this blog because I learned a lot. I was also comforted to see that I was not the only one with this problem. I’m glad I did PRP, but it did not completely cure my problem. I wish everyone good luck who goes through it and hope it works for you. No I haven’t heard about the Topaz wand but will certainly keep it in mind. My doctor wants to try and avoid surgery, but if it can improve that muck it would be worth it.Thanks for the tip! Got a 80% tear of my achillies tendon. Went to emergency and they wanted to operate that night. I had heard about PRP injections while spending the day in emergency phoning around. Was lucky enough to get in to see a top sports ortho this morning. He said they haven’t operated on this injury for 3 years and fully recommends PRP therapy. I had it this morning…hurt a bit but I have had worse. He says completely non weight bearing for 2 weeks then very slight weight bearing with crutches after that for another 4 weeks…and a then increase the weight bearing a bit each week. I have a boot and crutches. Steve are you in Canada? Sounds like your Docs may have read and understood the UWO Study, though they’ve got you spending a bit more time PWB than bit.ly/UWOProtocol would. There’s virtually ZERO evidence that PRP injections help with any AT problem, AFAIK. Ya, I paid for 3 of ‘em myself for ATR #2, non-op. A high-profit item, I think! I read this forum Sunday evening and almost cancelled the PRP injection I had scheduled today in hopes of repairing a labral tear in my hip. So many people described horrible pain! I really felt the need to share my experience, and my Dr. I had my injection at HSS performed by Dr. Jennifer Solomon. First, she injected the lidocaine. THAT didn’t even hurt. After that, all I felt was pressure and it was over so fast I swear I only breathed 4-5 times. I’m sure I will have soreness in the coming hours and days, but the injection itself was a complete NON-ISSUE. I would suggest HSS and the Dr.s there to anyone. I’m not sure who would drive a needle into a deep (and presumably) already painful joint without anesthesia, but if anyone tried that with me, I’d hightail it outta there!! I am a very active 34 year old male (I play basketball 3-4 times per week and jog 2-3 times per week). I was diagnosed with Achilles tendonosis about 3 years ago. In the 3 years since the diagnosis I tried every remedy possible except surgery(including PT, a walking boot, rest). My ortho told me about prp injections and advised me to go home and research it and let him know if it was something I wanted to try. I did the research on the internet and I was very skeptical (especially since it was not covered by my insurance company). I decided to skip the injections and just managed the pain on my own by stretching, icing and lots of painkillers. About another year passed and the pain became so aggravating I made a return visit to my ortho. We again discussed having prp injections and I decided as my last resort to give it a try. I had one set of injections (one on each side of the Achilles) done one month ago. I can honestly say it was the BEST $400 I have ever spent. I am almost completely pain free. At this point I have not begun any strenuous activity other than walking so I am anxious to see if I will remain pain free. I must be honest, as previous posters have mentioned the injections are painful, but I did not have any anesthesia only a numbing cream as the needle was being inserted. However, I would GLADLY endure that temporary amount of pain for the pain free benefits I am now experiencing. I hope this helps anybody who was sitting on the fence as I was. Wow, that is horrible that the first doctor didn’t realize what you had actually injured. I tore my achillies about 5 years ago and the recovery has not been easy. I now have to go to an orthotics calgary clinic because I walked differently when I was injured causing problems in my feet. I hope you don’t have the same problem. Thanks for posting this article. It has been almost four years since i initially tour my tendon, which was repaired by PRP injections and basically have had no problems with the tendon except this summer I had scar tissue from the tendon attaching to the skin on my ankle. I was also having problems with scar tissue building up in my calf muscle that I also tore with the tendon. I went to physical therapy for a month and have been massaging it to reduce the scar tissue and it has gotten much better. Unfortunately now I have been having knee problems from an old injury, so that will probably be my next visit to the orthopedic doctor. Hi, I am 39 and had a PRP injection in my right elbow yesterday. I am a nurse and had a crush injury at work in Sept 2012. I have tried ultrasound therapy, laser therapy, PT, deep tissue massage, you name it I have tried it. I was in a gutter splint for over 2 months. I have lateral epicondylitis, tendinopathies and ulnar nerve damage. I was told that I would have some discomfort post procedure and was given a prescription for 15 vicodin and a sling. My physician said that some patients don’t use either the meds or the sling. Well, I am not that lucky. Let me tell you about my experience…. lab drew approx 50 cc’s of blood and transfusion med staff spun my blood in the centrifuge in my room. My physician injected Lidocaine with a 25 gauge needle. This was somewhat uncomfortable but bearable. He switched to a 19 gauge needle for the tenotomy (surgical division of the tendon) he did 15 passes. I felt pressure and what I would call a scraping type of feeling. He then injected approx 3 cc’s of PRP. Immediately following the procedure I met with PT to get my sling and information on a couple of stretches/exercises. At this time my pain was probably a 4/10. By the time I got to my car the lidocaine had worn off and the pain was getting quite bad. I took 1 pill and iced my arm when I got home. Neither of which helped. It is now approximately 32 hours post PRP and I am in terrible pain. I cannot straighten out my arm or make a fist without screaming. I am now taking 2 vicodin every 4-6 hours with no relief. I feel like I am a total wuss since my Dr. said his patients rarely use/need the pain meds. I have a pretty high tolerance to pain but this is shockingly horrible. I pray that tomorrow will be better and each subsequent day after that! I will update my progress in case anyone is researching whether they should try this procedure. Hopefully it will prove successful! !!! I’ve just had reconstructive surgery on my triceps. Basically the central part tore away completely whilst I was stretching! Prior to that I had bursitis and the usual drawing of fluid off followed by a mild steroid. I had surgery on 2 Jan which wasn’t entirely successful hence follow up surgery 2 weeks ago. PRP is not practised by my surgeon, but as a very active gym goer - even though I’m in my 50’s, I’m desperate for an excellent recovery so I can get myself back into top physical shape. Has anyone had a similar injury who could advise me one way or the other on the benefits of PRP? I’ve lifted weights for 30 years and always expected I would do so well into later life, but this injury has put considerable doubt into my mind about whether I’ll ever be able to really ‘push’ weights again. Grateful for any advice. Well its been 5 weeks since my PRP on my bicep and elbow, both at the same time. I can tell you I am worse today. I haven’t tried to left or do anything with my arm since the injection. Where as I somewhat could sustain the pain before the PRP, I cant do a thing today with severe PAIN!! I am truly disappointed. Is there any hope, do I wait longer? Hi. I’m a 49 YO woman. Had a srgical repair of a torn Longus tendon in Oct 2006. 2 weeks later got a DVT and Pulmonary Embolism. Was non-weight bearing and boot cast for 14 weeks and in walking boot 6 more weeks. In July of 2008 I was at my barn and a gopher tunnel collapsed under the same ankle and blew out all the previous work and ruptured my Brevis tendon completely in half. My surgeon said the tendons looked like “spaghetti squash” when he opened me up! Fast forward to 2013. Same foot. The Achilles is torn and the Brevis has another hole as per MRI. Also a horrendous amount of scar tissue which obstructs mobility. My surgeon refused to operate but referred me to another surgeon if I want to pursue that. He DID however agree to PRT. I had that done this morning. They did it in the OR. Covered me with warm toasty blankets, gave me head and knee pillows, withdrew the blood and asked the doctor if it was enough. I heard him say yes and the next thing I knew it was over and they took me to recovery. Despite a complete nerve block when I got to recovery my foot was pounding and did not feel the nerve block at all! Took 2 Fentanyl shots to get the pounding to let up. It’s 6 hours after the procedure. The pain was so bad it blew through he block but now it’s numb but the toes and foot are very warm. Did anyone else experience the warmth? Put in a call to my surgeon and trying to walk around as much as possible. Had been dealing with the recent injuries for the past 2 years and the insides if my foot are in bad shape so I knew the pain would be horrendous and made exponentially more horrendous because I have Fibromyalgia. My GP gave me an RX of Dilaudid in anticipation of severe pain. I will most likely need it soon tonight. I’m so glad Kaiser is so concerned with patients’ pain and discomfort. They have their down sides but I have had a great surgeon. Unfortunately he will not operate on me again. He was so upset by the first DVT ( only his 2nd in 20 years) that he said he does not want to tell my husband I died of a blood clot. Don’t know if I’ll go to the new surgeon or not. Time will tell if this procedure helps the hamburger and gristle that are now my Brevis and Longus tendons. Call your provider and DEMAND they treat your pain. If they won’t tell ( not ask) them to refer you to someone who will! The hormones and chemicals released buy yout body during severe stress and pain can actually delay healing. It has been medically proven that patients who are properly treated for pain recover faster and with fewer complications. What a turd of a doctor to guilt trip you about needing pain Meds after a procedure. Ivehad both of my elbow tendons rebuilt. Tendon surgeries hurt like nothing else! Avie, speaking of turd-like Docs, I think yours qualifies for refusing to operate on you for fear of another DVT! Why not just give you an anti-T drug like LMW Heparin to keep you safe? And your heat feeling may possibly be related to the increase in blood volune from the PRP injection. Our bodies feel cold when we lose blood, and hot when our blood volume is increased. When I had a bunch of die injected into my Aorta as part of an Angiogram, I couldn’t believe it wasn’t scalding hot!! They swore it was actually room-temperature cool, but you couldn’t prove it by me. Rrr, if your tendon is discontinuous now, I think it needs to be stitched together. The non-op approach works great most (~97%) of the time, when it starts with a “fresh” ATR, with inflammation and healing going like mad. Yours is way past that now. Many (or most?) surgeons are convinced that grafted repairs work better on stale ATRs, though I’ve never seen any persuasive evidence for it. I gave the non op a good go, and it does work out for most, I’ve read so much on here I can vouch for that, even in hindsite i have no problem with trying non op the ony thing i wish i would of insisted is a scan pre decision and one at 4 weeks, in my simplistic mind , if the pre decision gap was say 5 cm, 4 weeks scan 3 cm and now 1 cm , i may of said the bugger wants to join so give it a coupe of more weeks, however i will never know…..so deep breath, keep up my spirit and I’ll go for what I didn’t want the op, in the words of Arnie ill be back , but not before I have a fine bottle of merlot. My ATR became very stale (long story involving some bad decisions on my part and insurance woes) and my surgeon albiet almost 5 months later performed a V-Y Lengthening to reconstruct my tendon. He said thhe wouldn’t perform the graft if the their was enough viable tissue, but other doctors will do an FHL transfer (like D. beckham), which used the tendon on your big toe to reienforce the rupture site and reconstruct the AT. If you still have a gap that large at 8 weeks I would op for surgery (although that is my personal opinion). My page contains information on the V-Y lengthening and subsequent rehab, which was very conservative for me (per Doc’s orders). Anyway, good luck with your decision and recovery. Sorry to read about the disappointing news. Now you are going to have to start your own blog within these pages - I was trying to pick up on your history but difficult. My correct diagnosis was made 10 days after injury with the help of the squeeze test and ultrasound scan. At that stage, because of the time that had lapsed, my ortho consultant considered my atr to be borderline op v non-op so went for the lightweight cast for 2 weeks after which the injury was healing well enough for me to be given a VacoPed Achilles Pro boot. I saw a physio once every 2 weeks - the continued healing was obvious at each visit and I didn’t see the consultant again, although there were always one around if there was a problem. The physios were more than good enough at assessing progress and tweaking the rehab as we went along. You’ll have read plenty here about getting a written protocol, then a modern boot, for a fast recovery timeline. Until next week though you don’t know what your consultant will decide - but good luck with whatever you go with. Hillie, re blog, Norm has had a go at me a few times about it, so our kid was going to set it up last week but he’s, had major bad news, so looks like I’m going to have to learn to do it myself , I promise I will. And guys I couldn’t of coped without this site and you wonderful people. RRR, you already HAVE a blog here, since March 25, under the name “Riprap” — at least I’m reasonably sure that’s you. It’s now called “Hello World by Riprap” and it’s on the list on the main page. All you have to do is start filling in your story in the main posts at the top of each page. You’re also allowed to reply to your pages/posts, the same way you’ve been replying to others’. First step is to make sure you’re logged in — probably same as always, unless you gave Dennis a different login or password when you emailed him to set up the blog. Then go to your blog — either by finding it in the list and clicking on it, or by adding /riprap to the end of achillesblog.com in your browser’s address (”URL”) window. You’ll have “special powers” because it’s YOUR page — the power to change the “Hello “World” to a title of your choice, to change the various bits of boilerplate text to your story, etc. etc. I bet you can do it if you try. You are EXTREMELY unlikely to (1) hurt yourself, (2) damage your computer, or (3) cause a power blackout in your whole region. Thanks I’ve updated I’ll go ad look now see if its worked. have OA in the knee, don’t want a new one has any one had PRP to rebuild the cartilage? Having prp in elbow in 3weeks n must say after reading up I am really stressed about having it done . Gill, FWIW, my 3 injections in my ATR region were not especially painful. No pain killers used, before or after. Hi All, Kobe Bryant and I both tore our Achillies Tendon at the same time! i am being put on PRP injections to assist recovery. The Doc does not want to put my ankle in a cast or boot, can anyone comment on this? my Doc says the movement stimulates growth of scar tissue but i thought its common practice to immobilise the area. Yossi, I wouldn’t go much faster (or any slower) than bit.ly/UWOProtocol . Yossi- I agree with your doc in his belief that movement is good. I think it helps prevent scar tissue and adhesions, and might also help alleviate some of the issues people have “re-training” their ankle to function properly (balance and such). However, the boot also provides a critical function- protecting the tendon post surgery (I am assuming you had surgery… if you’re non-op, I think your doc is nuts). When crutching around, it is so easy to slip or stumble - accidently loading the tendon, causing severe damage. My advice would be to do both: when you’re “safe” - say resting with your foot elevated, watching TV - have your foot free, and keep it moving. When you’re up and about, have it protected. I have likened it to a motorcycle helmet… under nominal conditions unnecessary and useless. When crashing, it’s very important. If you’re moving - with any risk of “crashing” - I would advise wearing the boot. We’ve debated if sleeping is a safe (boot off) or dangerous (boot on) place before. Personally, I think it’s pretty safe, and never slept with a boot. That’s all regarding the NWB phase. Just like early movement, I believe there is good benefit to early weight bearing. If your doctor is suggesting that you should avoid weight bearing until you are capable of doing so in two shoes; then I think this is counter-productive. It may be that the doc will put you in a boot once you are ready for the PWB/FWB phases. These are critical parts of the recovery, and they will require that the joint be immobilized and protected. During these phases, my suggestion would be to continue having the boot off - ankle mobile - when in a “safe” place. I think the evidence shows that you want to get bearing weight on the ankle almost as soon as possible. I saw a study a few days back that I will try to find that explained how tendons heal. In essence, the collagen scaffold forms, then there is regeneration within that happens gradually. There were two images showing the cell structure as it developed with the pre-movement image showing the cells without any clear direction and the post movement showing alignment along the tendon. The authors were making the point that motion helps strengthen the tendon by aligning the fibers. I will try to find the study and the link to it. It makes intuitive sense to me, at least. Ekiaer - I have a link to a study (thesis) done in Swedon on rat tendons that talks about the benefits of early mobilization. See Xplora - further reading. It is very scientific (some heavy reading) but you can sift through much of that. There needs to be a balance between protection and mobilization. I stopped sleeping in a boot at 3 weeks because I just was not sleeping but I never left the bed without it. I also started movement and weight bearing about that time. I think I also started on the spin bike in the boot about the same time. I have had 3 PRP injections in my right achilles tendon and 1 PRP injection in my left achilles tendon. I have really bad achilles tendonitis. I am a 52 year old female half and full marathon runner. I do about a 9-10 minute mile. Well, I just had the PRP injections in my right and left achilles tendon done two weeks ago. Yes, an injection in each achilles tendon on the same day/time. MAN………DID THAT HURT!!! Talk about not being able to walk!! I just wanted to share my story because of the amount of times I needed to have the PRP injections (3) in my right achilles tendon (5/28/2013- last injection). I probably will be getting a 4th injection in the right achilles tendon again in two weeks. Just have patience in the healing process and faith in your doctor!!! Do I think the PRP injections are worth it?? Absolutely!!! I have seen an improvement. I also have an awesome trainer that has been helping me through the recovery periods. GOD Bless HIm!! My first PRP injection was on April 2, 2013. FYI……..the PRP injections hurt like……..but they are worth it!!!! 7 years ago, I completely teared my right Achilles tendon. I got an open surgical op and everything went fine. Back in April, the 12th, I partially ruptured the left one and got a percutenous operation. I had a cast on for 4 weeks and a moon boot for 4 as well. Everything was going really well, it wasn’t hurting and I was getting loads of muscle and flexibility when it suddenly broke again while stretching (week 11). As you can imagine, I was totally destroyed thinking that I had to go through this again especially in summer time. But well, what could I do…. My surgeon decided it would be a good idea to try a non-surgical treatment: 3 injections of PRP (platelet rich plasma) + cast for min. 6 weeks and then a moon boot for 4 weeks. I had my 3rd PRP injection yesterday (going non-surgical) and the docs had a hard time finding where I initially ruptured the Achilles. I think that means that PRP is working for me at least….for the moment. I now have 3 more weeks to go with cast and crutches (6 weeks in total) and will then take the AirCast boot on for at least 6 other weeks while going to PT. Of course it’s difficult to say that the whole thing worked out for me yet and that I healed so fast thanks to the PRP injections, but as I invested 1500euros in 3 injections I want to believe that it wasn´t just a placebo. I’ll keep you updated…take care everyone! BarcaMike - I heard great results from that treatment. When did you get injured and when did you start? I got re-injured on the 1st July and had the 1st PRP injection on the 4th July. After that I got an injection each week (11th and 18th July). It’s probably better like this…then I’m sure it’s getting the rest and healing it needs…I can’t go through this again!! I am the original poster of this and it has been four year since I received the PRP injection for my torn Achiles tendon. I don’t have any problems with the area in the Achiles Tendon where I tore it and there is not even a lump where I tore it like I used to have. It did stay tender for the first two years or so but I don’t even that any more unless I bump the back of my ankle. Quick question: I will soon get my cast off after 5 1/2 weeks (non-surgical, re-rupture) and will go into the famous AirCast boot (I’ve been NWB at 90 degrees for the past 3 weeks in the cast). How long before I can go FWB? Are we talking about 2 days, 8 days or…? Jeepin, good to hear from you again. You do have a knack of coming back here every 6-12 months — what discipline!! Glad your AT is still good, too. Mike, I think you deserve a blog of your own! The scientific evidence that PRP helps ATR healing, non-op or post-op, is still more-or-less non-existent. And the evidence that UltraSound technicians and Docs see what they want to see is pretty strong, at least in my experience. As I retell on my pages, I had 3 weekly PRP injections into my non-op ATR (my second), with an UltraSound each time, watched over by the same technician and the same fancy sports-med doctor. Each time I asked them to describe my rupture, and each time I got a description from a different planet: (1) It’s a complete rupture, (2) It looks like a partial rupture, and (3) it looks like a partial but multiple rupture. It’s conceivable that some of the differences were caused by actual changes (healing) during the intervening days, but to me it sounded (and sounds) a lot like hearing people describe clouds. With or without a rerupture — and there’s ZERO good scientific evidence on how to treat a rerupture non-surgically — a non-op ATR patient who’s been NWB for as long as you have, should start moving quickly to PWB and gradually toward FWB. If you were a UWO patient with a “primary” ATR, they’d get you PWB (initially with virtually no weight) at 2 weeks post-whatever (op or non-op) and they’d have you progress gradually OVER THE NEXT TWO WEEKS to “FWB as tolerated”, all in a fixed boot. For you, moving immediately to super-light PWB now (just resting your booted foot on the ground as you crutch past it), and spending around 2 weeks gradually increasing load until you’re FWB, sounds sensible to me. If you feel great, you could go faster, but you should stay INCREMENTAL with all of it, and always Watch Your Step, because you’re clearly vulnerable to reinjury (including “the big one”) and you will be for 2 months, maybe a bit more. Me, I prefer hinged boots, and you’ve probably noticed that lots of people here LOVE their Vaco hinged boot. Using a boot that can hinge down (PF) for a while before 2 shoes probably decreases your vulnerability when you’re first in 2 shoes. Based on logic not evidence, though the Vaco-based study discussed on Suddsy’s blog recently does document the lowest rerupture rates I’ve ever seen. Good luck, and good healing! Im a dancer and for 4 months ive been trying to fix my foot. I finally got prp therapy done about 2 weeks ago for freibergs necrosis. I don’t like needles in general but after the numbing I didn’t feel a thing until the next day! I am in a boot but I can walk a little bit, it hurts really bad though. I’m hoping it wi get better soon! It’s been going well and improving ever since the prp! I I was just wondering if anybody has had it for freibergs necrosis (of the third metatarsal) before! Thank you! I have had problems on an off for about a year with right Achilles tendinitis. I have been doing well for a few months (I stretch the Achilles before and after exercising/playing sports), but the horrendous pain came back after I played tennis yesterday. I have been playing tennis with no problem but yesterday was the exception. I could barely walk into my doctor’s office today, and my doctor recommended PRP (he had previously done a few cortisone injections and mentioned PRP prior to today). So I went ahead and got it done because that is how much pain I was in. It has never been this bad. The injection only cost me $150 (not covered by insurance) but it looks like it has costed a lot of you more money. I wonder why that is. However, my doctor gave me no aftercare instructions, except to take a prescribed NSAID 3x a day. The pain is now even worse and he did not prescribe anything for the pain. I cannot even move my foot, let alone put pressure on it without a wave of nausea from the pain. Should I be icing it at all? Also, he mentioned nothing about a boot/cast, so I am curious about that…I am hoping the pain is a lot better tomorrow! Stephanie, I was seeing an O/S who wanted to do PRP on my achilles; if I had gone through with it, he would have done it in the hospital so that he could use ultrasound to see exactly where the injection should go. I would then have been in a boot for several weeks to allow the tendon to heal (if it would have done; I’m still skeptical about PRP). You said your dr. had done cortisone shot in your achilles. That shocks me as cortisone has been known for decades to weaken tendons. Is your doctor an orthopedic surgeon ,or a primary care physician? If he/she is not an ortho, I strongly encourage you to seek one out ASAP. In fact, if I were you, I’d be looking for a second opinion right away. Even if you stick with your original doctor, because PRP is so new and your problems are fairly long-standing, it would be wise to hear from someone with a different approach. Good luck. I have had a re-occurring problem with my Achilles for nearly 18 months. Every time I think it was getting better, id go back to slow running and it would flair up again. I have been to numerous docs over that time and had x-rays and had an MRI done. Seems I have bad Achilles tendonitis at insertion point on heel… And from there I have tried all the usual remedies…Rest, icing, moon boot to shock wave therapy. All to no improvement. Finally after just being of sick and tired of limping every morning and after I have sat down for a while, I have given PRP a go. I found a doc locally in the sports medicine Orthopaedic field as recommended by my physio. So when I get into the consulting room, we have a chat and once again I go over the history from the start. The doc takes about 2 vials of blood from my arm and takes them of to be placed in the centrifuge. So once again the needle went in, and I felt the same pain…wasn’t dimed at all…but oh well it has to be done. This one took less time to inject. After it was done it was a case of being told not to put to much stress on the foot and to rest for a few days…that it can take between 2-5 days for swelling and pain to go, depending on the person. Mine was going ok after 2.5 days.still stiff..and sore to walk on. I was not instructed to be in a moon boot but I did have one so put it on for most of the first few days. I wasn’t given any rehab instructions and to be honest I didn’t ask at the time..i wasn’t to focused on that part of things at the time. But I have been doing some research and have an idea on what to do..
My outline is to have 3 sets of shots…but if repair going ok then maybe only 2 needed…if I make a miraculous recovery then only the 1 will be needed.. Cost was $300, with 194.80 rebated by Medicare (gov covered in Oz), so that pain was bearable. Before problem started, i was involved in doing lots of fun runs (10-14k) and AFL masters…so just want to be able to get back to running. I’ll keep update on progress. Anyone pondering PRP should not hesitate. Had both knees shot 8 months ago and it has definitely helped me. Going in for my second shot in both knees to try to get back to 100%. I am about 80% at the moment. I started feeling better after 6 weeks and running again at 12 weeks. Just make sure to avoid NSAIDS. By the way,I have Kaiser Ins. and since they do this in-house,you only pay the co-payment. Just in cas anyone was wondering about whether insurance companies cover PRP. So if you want to do it and you Insurance does not cover it,get Kaiser and hav it done. Definitely worth it. Had one PRP treatment about 3 years ago when I was 58 after having year long constant soreness in my left Achilles just above the insertion point at the heel. I had made the mistake of playing tennis 3x per week and on the other day, climbing hills to strengthen my legs - overuse you say? Wore a boot for 4 weeks and did my own PT for 6 weeks based on Doc’s recommendation and then very very slowly eased back into tennis and hiking. Had my Achilles ultra sounded 6 months after treatment and saw very noticeable improvement. One year later, no pain and was hiking and playing tennis again but must make one important caveat regarding healing - when you are healed, you MUST continue doing regular strengthening, stretching and balance exercises otherwise you may find the tendonitis returning. I did not and that is what happened to me again at 61. Also, make sure you wear orthotics and wear silicone heel cups to shorten your Achilles. I just had the first of 2 PRP treatments at a large orthopedic clinic in the So. Bay Area of LA. He did not use any numbing agent as he felt it would impede the healing - the injection pain was easily tolerable. He recommended NOT icing for at least 48 hours and NOT taking anti inflammatory drugs for that long as well. I will wear the boot for 2-3 weeks and get 1 more injection next week. Will update as I heal and do PT. I have had tennis elbow for about five months. Finally had an MRI and doc said I also had a tear in my bicep tendon which was the thing that was really giving me a hard time. Decided on PRP, injected directly into the tendon where the arm folds, awake, nothing to numb. OMG, my bicep and elbow felt like they would explode! I sat in the recovery room for almost an hour before I got the courage to walk out to my car and drive home. Four days later, pain in my arm is still severe whenever I twist my arm in either direction. I thought I had read quite a bit about the procedure but nowhere was I warned about this pain. I have a three day golf tournament two weeks from today and wondering if I will be ready. Doc originally said I’d be playing in a week to ten days. He was sadly mistaken. Well, if I get relief, it will be better than a four month rehab post surgery. We will see…. I have been suffering with shoulder rotator cuff tears for the past year. I have had 2 cortisone injections, tried months of physical therapy, tried acupuncture and massage therapy all with no results. My Dr said my next option was surgery. I read about PRP injections and decided to give that a try first. I found a Dr that does the injections but my insurance didn’t cover the cost which was $900. I was not prepared for how excruciatingly painful the injection would be. I normally have a high pain tolerance and have never given in to taking pain meds but had to give in to taking them because the pain was so overwhelming. Now 3 1/2 weeks after the procedure I am in more pain than ever. I am in constant pain 24/7 with the pain being so bad at night I can’t sleep at all. The pain meds don’t even touch the pain. My Dr said he doesn’t know why I am in so much pain at this point and he doesn’t know what to do. I so regret having this procedure done because I my pain is so much worse than before I had it done. Now I don’t know what to do. I’m afraid I will be stuck in this pain forever and I feel like I can’t endure it any more. I desperately need relief from this horrible debilitating pain. Has anyone else had this kind of result and if so did you find a solution? I had two pro injections on an arthritic hip and saw improvement. However, on the third injection, my hip has reverted to the original pain and it now aches. Going to give the doc a call, as I had such high hopes, and I wish I would’ve stopped at only two injections. I had seen improvement after two. Not sure what is going on, unless it did not work and my arthritis is simply progressing. I think it is seriously an awesome feature and I’m glad we were able to collaborate with this Thanks for your help, great communication and fantastic website! There are two doctors locally who do PRP. I have non-insertional achilles tendinosis. Doctor one recommends a series of 3 PRP injections, 1 per week, and that I be in a boot for 4 weeks. He’s charging $375 per injection (so the series of 3 will cost $1125 total). He is a sports orthopedist at a hospital. Doctor two recommends trying 1 PRP injection and checking in 3 weeks later to see if the problem is resolved and if I’ll need further injections. He says I won’t need a boot and I will be able to walk out after the injection. He’s charging $600 for the first injection, and if I need a second it’ll be $400, and if I need a third it’ll be $200 (so if I need 3 injections it’ll be $1200 total). He is a sports orthopedist at the Olymplic training facility nearby and my sense is that he does a lot more PRP than Doctor one. Which doctor do you think I should go with and why? A brace (like an AFO or PTTD aircast) I think is better for 7-10 days after injection. See dr. 6 weeks later and eval. your pain level. Then you both should decide if you need another injection in ankle or tendon area. Typically, after 2 injectons there is a greater result rate. I’ve noticed that no one on this website has mentioned stem cell injections w/prp. Stem cells have a larger amt. of healing properties. One stem cell injection by itself most often negates these 2-3-4 PRP injections. There are MSC (bone from illiac) and Adipose. Also, many of the DPMs are now using a product with great success called AMNIOFIX; and do not use PRP or stem cells at all. Google amniofix and it is cheaper than stem cells and about the same price or a little higher than a PRP injection. Several of the DPMS where I live have had very little success with PRP and have switched to this amniofix. Has anyone had injection in neck for 3 and 4 vertabrae. My wife had a plate put in neck and arthritis has developed. Dr. says, PRP will help. I sure need to find out if any of you have had procedure and how it worked for you. I am the original poster and it has been 5 1/2 years since I posted the original post. Once my achilles tendon healed after the original PRP injection it would get sore at first but for years I have not had any problems with it at all. I can’t even remember the last time it bothered me. During my injury I also severely tore my calf muscle which developed scar tissue in it while my achilles tendon was healing. I didn’t have any type of PRP in the calf muscle. That remains an issue but as long as I work out at the gym a couple of days a week and massage it a couple of times a week it doesn’t cause me any problems. If I get too busy to go to the gym or too lazy to stretch it our regularly it will get stiff and start hurting a little after a couple of weeks until I get back to the gym. Good luck to all of you with your situations. I have had numerous painful surgeries in the past. I have high pain threshold. And did prp and prolotherapy several times on different body parts. I can tell u that the pain you would experience depends on various aspects: your tissue condition (how injured it is), the area (whether shoulder, back, knee etc), your doctor, whether lidocaine used, whether you already did any irritant therapy before that. My first prp on wrist hurt but not as bad. Did Prolotherapy after few months it hurt but not as bad. Did Prp again after prolotherapy, so on d wrist was very painful but did not make me scream. However during same session prp on various shoulder spot such as tendon was one of worse pain I have ever experienced. I felt Dr was hitting the nerve. 3 days post procedure I have very limited movement in shoulder and very painful still. Wrist not as bad. I think it works. As I seen improvement. I think it also depends on various aspects whether it would work or not. But could be very painful. Do not tell others not to be a whimp. If u did not experience much pain was perhaps because of what I explained above. I have a SLAP tear and rotator cuff tear of the subscapularis. I had 2 PRP injections a week apart. The last one was seven weeks ago. The initial injections were excruciating! I was not given numbing or pain meds of any kind bc my dr felt they interfered with the healing process. I’m now 7 weeks since my last injection and I would describe my pain as severe even at rest! I thought the pain was improving but it suddenly took a turn for the worst. I have three children and never took pain meds up until this point. I’ve been icing my shoulder and taking Tylenol daily with minimal relief. I can completely relate to Julie’s post. I’m very concerned at this point that I’m not going to get relief from this. Thanks Jeepin for posting a follow-up 5 1/2 years out. Great to hear your success. Wish I knew about this when I tore my achilles tendon in 2009. I opted not to get surgery, but thankfully after wearing a walking boot eventually tendon healed itself, still has some scar tissue but not painful. Just had a PRP plus prolotherapy shot in my ankle 4 days ago for posterior tibial tendon tears and the tendon was inflamed and tender to the touch without activity and hurt when I walked too long. The Dr did not use any numbing agent so I felt the needles going in three times into an inflamed tendon. Wish my Dr used a numbing agent like some of the other posters mention. But with that said it hurt but I survived. That night felt like someone broke my shin just above the injection area with a baseball bat. Bad pain was only that first night. Think icing the area is the key to stay out of pain and staying off it as much as possible. In walking boot for next two weeks. Will keep the board posted on progress and outcomes. Thanks everyone for all the postings on this thread. Very helpful. I had tennis elbow for about 5 months and tried physical therapy, which only seemed to make it worse. My doctor recommended PRP and I went in for the procedure 10 days ago. Like everyone else, I thought the local anesthetic was the most painful part of the procedure. However, when it wore off that same day, I was really glad to have the Tylenol with Codiene that the doc had prescribed. A few days later, I wondered if the procedure was working. Nothing felt any different than before. However, I had, based on doctor’s orders, stopped my weight training routine and my spin classes and cycling for a two week period so as not to reinjure the area. Now, 10 days later, I’m experiencing some throbbing in the tendon. Mostly it happens at night (which wakes me up) but the pain has also randomly occurred while I’m just sitting at the dinner table or driving. I got a bit worried about what this means - which is what directed me to this thread. I assume now that it is just part of the healing process. I am seeing my doc on Thursday for the two week follow-up and hope that all is going well with my recovery! Can’t wait to get back into my routine again. Hello everyone. I have been suffering with Achilles tendonosis since April if this year. I’ve been through five weeks of physical therapy, being in an air cast for 2 1/2 months, had ASTYM (which hurt like crazy and had my ankle and Achilles swollen and painful), and R.I.C.E. (rest, ice, compression, and elevate) all to no avail. Also, I was taking anti-inflammatory medication the entire time. I’m stil having pain, tenderness in various areas around my Achilles, and thickening around my Achilles. My doctor gave me two options: 1) surgery and 2) PRP injection. For me, surgery is a last resort, so my PRP injection is scheduled for Thursday, August 18th (two days before my birthday. I’ve been doing as much research as I can. I’m not sure what to expect. I’ve read comments on various sites saying how painful it is and some comments saying it didn’t hurt at all or the pain was mild. Can anyone give me an idea of what to expect? My doctor told me it will “…hurt like hell” and that I will be in the air cast (boot) for two weeks. She has, also, advised me that I will need to stay off of it for a few days (does that mean I will be sent home on crutches as well? ), and that I cannot use any anti-inflammatory medications for two weeks before and after. If this doesn’t work, my only other option is surgery. Any and all advice and sharing of experiences would be greatly appreciated. Katina - Firstly, pain is very personal and it is hard to judge or give an idea how much things are going to hurt you. My thoughts are it is best not to have any indication as it could put you off. Another treatment I have found successful is Radial Shock Wave therapy in conjunction with custom orthotics. Also an eccentric loading plan (which you have probably been doing already). I would chuck the NSAID’s now anyway. The tendon requires an inflammatory response to heal, caused by prostoglandins which are such down by these drugs. Hi! everyone. I am 34 years old and 5 weeks ago I broke my achilles tendon completely, the next day I had my operation which everything went well. Returns home one day after surgery with splint for five weeks but in the fourth week I stumbled upon crutches and rest my foot tip, the pain was worse than when he broke the first time. I went to a doctor and he prescribed only for pain injections and said the tendon was not broken. 3 days after visiting the orthopedist and tells me that I have a small step that does not like him, possibly a partial or total ropture and he requested an ultrasound scan. The next day I went to do the ultrasound and the doctor who performed my study tells me that possibly this broken because there is no continuity in the tissue so that left me really worried but also told me that he had a rare tissue that may be a scab that is uniting the tendon. I forgot to mention that I have had physiotherapy from two weeks only using ultrasound and magnetos for regeneration. I was recommended PRP to rearrange tissue disaster and I have had the first session yesterday and it hurt but was bearable pain, today my pain is mild, tendon hurts sometimes when I’m sitting. The orthopedist apponitment have it until next week to determine whether the tendon is broken again I hope it’s not the case. Physiotherapists who made me PRP said that in 4 weeks we should see results with sessions 1 to week considering that they take as partially broken tendon or tissue regeneration not consolidated. I am worried because the opinions between orthopedists, physiotherapists and specialists ecografias not leave me anything clear. Similarly forna the orthopedist told me that if it was broken and would have to operate if it was not partially broken. I read the blog and have helped solve some doubts, I inform you how it goes and hope I can give their opinions. Ps My English is not very good so excuse me if I do not explain very well. Hello Stuart. I had to postpone my procedure until October 13th. Five days before my procedure, our home flooded and we lost everything (I live in Louisana). I have tried the Radial Shock Wave therapy at physical therapy and have not taken an anti-inflammatory since four weeks prior to my original injection date. I’m not sure if the work we’ve been doing on gutting our house or everything else has added to it, however, I’m in pain daily. At this point I’m just ready to get it over with. Hopefully, this works. If not, my only options are to continue as is (which is being in constant pain) or surgery. My orthopedic specialist (on my last visit) told me that I have a lot of thickening around my Achilles and still a lot of tenderness. I figured trying this has got to be better than this. Katina - so sorry to hear this. I have lived and worked in flood affected areas and know what you are dealing with now. Hope the tendon problem will show a solution soon as well. It may be surgery in the end. If that happens then there is plenty of help here for the recovery. All the best. I am new to this blog and like Katina, my last option seems to be surgery. I am 7 weeks after Tenex-procedure + PRP injection. With my left Achilles 90% torn, my case is very similar to Jeepin that started the blog here. Pain has reduced significantly but strength in calf is not there, no matter how hard I do my exercises. How long can you wait, considering the risk at some point, the muscle fibers can lose their contact with the nerve supplying them if inhibited/deactivated by the tear? Maybe Jeepin or somebody in this blog knows the answer from their own experience? I had PRP in my achilles in January. It was this or surgery. I thought the PRP was the lesser of the 2 evils! I am now getting pins and needles in my foot, shooting pains up the back of my calf and it is still swollen and the lump on the achilles is not disappearing. I am now concerned that it hasn’t worked. How long did others have to wait to see any results? Has anyone else experienced this and what was done about it? Game Killer for Android assistance all latest as well as old android games.user interface to hack any type of android video game. You will see a big “Download” switch on the Mobdro site, click this button to start the download as well as mount Mobdro on your Android device content online. non surgical repair is proudly powered by WordPress and WPDesigner..